Above you can see a image of light manipulation, which I found in a post on Reddit. The user who submitted the post is playing with the bokeh circles which you see in a photo when the light is out of focus. In the image above you can get a basic idea of how it is done. 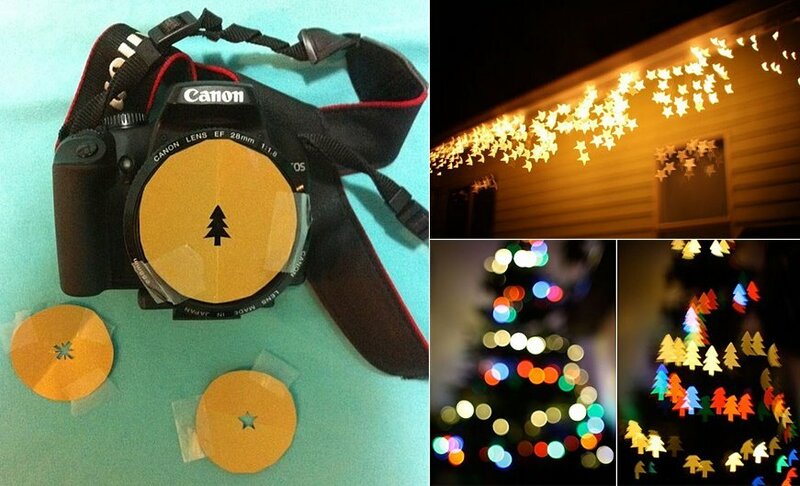 By placing a template on top of the apature, creating a new shape in which the light will enter the camera. I did some more investigating into the subject, by looking at YouTube's Photography specialists DigitalRevTV. In the video above, they show use a pack which you can get for $20, showing you the basic kit you need to make custom bokeh shapes. They then go to create their own bokeh shapes, using materials you can pick up for next-to-nothing. They show a great variety of new creative/geeky shapes which they made, they even went on to experiment with words to manipulate the shape of the bokeh. For the rear of the postcard, creating a space to write the address and add a stamp, I had to find some sources to base the design upon. This seems to be the typical layout of the rear of most postcards.